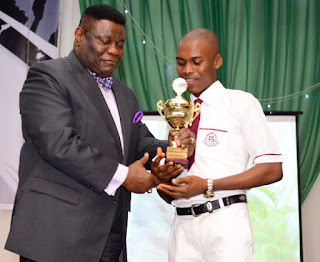 Mike Okonkwo 16th Annual National Essay Competition Registration Form Guidelines, Requirements, How to Apply and Deadline for Secondary School Students in Nigeria. Entries for the 16th Mike Okonkwo National Essay Competition for Secondary School Students in Nigeria currently in progress for 2019. Like previous years, the star winner school gets three sets of desktop computers and a printer, while the student goes home with a trophy, laptop, plaque and a cash gift of N100,000. The first runner up school gets two sets of desktop computers and a printer and the student goes home with a cash prize of N75,000 and a plaque. The second runner up school gets a desktop computer, while the student gets a plaque and a cash prize of N50,000. Interested and qualified candidates should send their Essay to: essay@trem.org.